Have no fear—the new, ESC Deluxe Laundry Bag is Here! Home > Blog > Have no fear—the new, ESC Deluxe Laundry Bag is Here! Any camper knows that a quality laundry bag is essential to a convenient and clean summer camp stay. You can find some very cool laundry bags at Everything Summer Camp; we carry a variety of fabrics, styles, and brand names like Mint, Trendy Collections, Buckhead Betties, Three Cheers, and more! And now we’ve added the biggest, baddest laundry bag yet! Mint and the other fashion laundry bags are very stylish and very cool with fun colors and complimentary patterns, but the new Deluxe Laundry Bag from Everything Summer Camp is certainly the most practical! Constructed of high quality, this is the perfect laundry bag for summer camp wear and tear. Made of stitched nylon, this sturdy bag features an adjustable shoulder strap for easy and comfortable carrying to the laundry room and back. 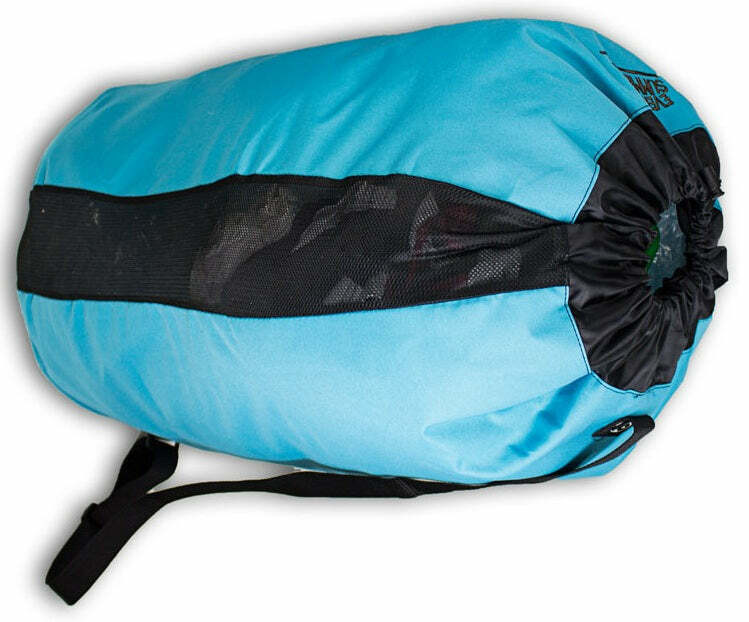 It’s unique design and color can help identify your bag too, which makes things easier on the laundry service at your summer camp. 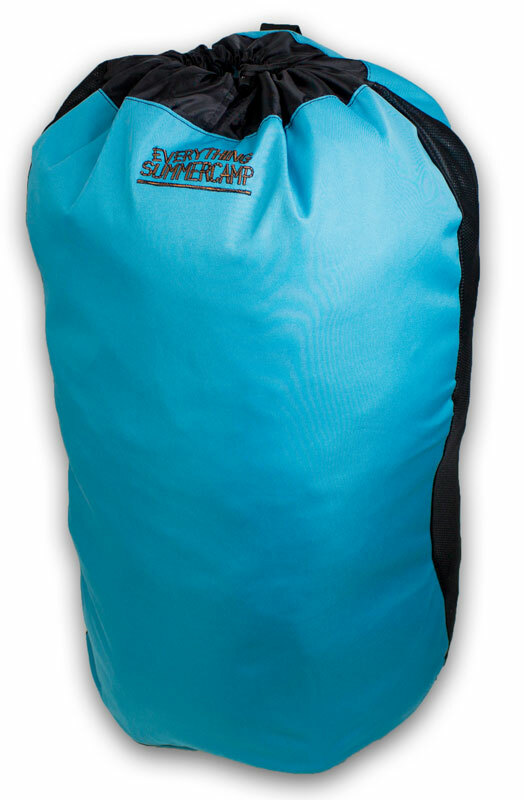 Everything Summer Camp’s Deluxe Laundry Bag also boasts mesh side panels for adequate ventilation and speedier drying than a full nylon bag. Combined with the bottom drainage hole, camp clothes won’t stay wet for very long in the Deluxe Laundry Bag. Available in a handful of fun colors, your Deluxe Laundry Bag is a top choice in laundry bags for your camp clothing and, unlike the fun, pattern and style laundry bags, this laundry bag doesn’t sacrifice dryability and breathability for your clothing. It will hold twice as much as they can too. And the best part is that, once you start filling the Deluxe Laundry Bag with your camp clothes, it stands upright and open on its own! Get the Deluxe Laundry Bag for your camp stay! 32″ tall x 24″ wide. Pick up yours right here and, as always, thanks for reading.